Southern Illinois University Edwardsville is dedicated to promoting an environment that supports the balance between an employee's work and personal life. The University's work-life programs include elder care, childcare, wellness and stress management resources. These programs, in keeping with the University's mission and vision, serve to integrate your professional and personal life so that you may be more productive, engaged, and satisfied in your work setting. 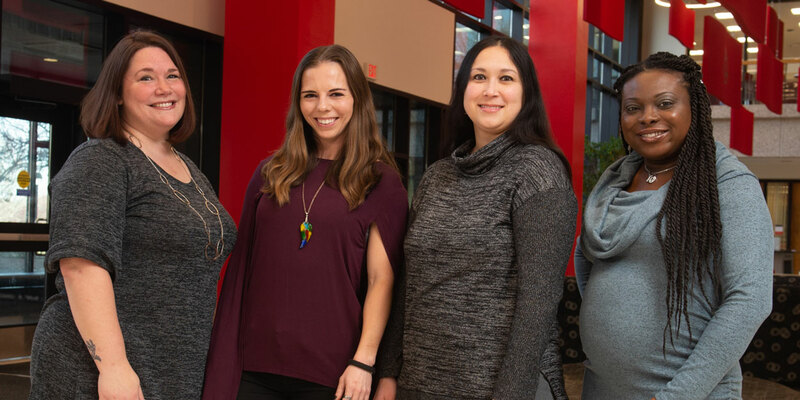 SIUE, through its work-life programs, maintains its position as an employer of choice in the region with a goal of successfully attracting, motivating and retaining the best professionals. SIUE provides an Elder Care Program that supports faculty, staff, and retirees who help their parents, spouses and other older family members. The Elder Care Program provides links and information about elder care. Our goal is to provide resources and information for our employees and retirees to enhance their quality of life. Elder Care involves many aspects of daily living for older adults, including choosing a physician, understanding housing options, as well as being aware of recreation opportunities. From 25 to 50 percent of employers now offer elder care assistance services for their employees (CCH Inc., 2007; Human Resource Institute [HRI], 2004; Society for Human Resource management [SHRM], 2007). For employees who have or are expecting children, childcare issues can significantly affect their work. It is important that childcare options be available so employees can focus on their job responsibilities knowing that their children are being cared for. Quality childcare can be costly, but costs can be offset through flexible spending accounts and discounts through various providers. The University also provides other resources such as online support groups for working parents and information about child health and safety. Managing work and family life can be demanding. The resources provided on the website will help you find affordable, high-quality care, as well as aid you in obtaining balance between work and family. When your child is in a safe and reliable learning environment, you are more likely to be productive and successful in your job. Here you can find tips and activities to help you and your child share rewarding experiences. Adoption Benefit Program reimburses eligible State of Illinois employees some of the incurred expenses, visit the Central Management Services website for more information. Southern Illinois University Edwardsville Wellness Programs foster an environment that supports the health and well-being of its employees. According to a business impact matrix produced by Alliance for Work-Life Progress (AWLP), companies that instituted wellness programs saw a reduction in hospital admissions, mental health visits and outpatient services reported by their employees. Faculty and staff are able to purchase a membership to the Student Fitness Center (SFC). The SFC has a Wellness Center that offers a wide range of physical fitness programs such as Belly Dancing, Body Sculpt, Bootcamp, Cardio Core, SPIN®, Yoga, and Zumba®, among others. Persons who prefer the outdoors may opt for a walk through The Gardens. Employees also have the option to go biking or running on one of the easily accessible trails on campus. Employees also meet on campus to go for group walks. Contact Alpona Simmons at 618-650-5302 to learn more about SIUE Walkers Anonymous, a community-driven walking group. Come join us for our Life to Go sessions throughout the year. The Office of Human Resources offers this information as a free resource to all university employees. Generally, the Life to Go sessions are held once a month from 12-1 p.m. (presentations begin at 12:15 p.m.) in the Morris University Center as presenters become available. Each meeting includes a 30-minute presentation followed by a 15-minute question and answer portion. Mark your calendar and get signed up as seats do fill up quickly. When: May 8, 2018. 12-1 p.m. Seating is limited so please RSVP by emailing Bonnie Brueggemann @ bbruegg@siue.edu.